Bring the butter, salt, milk and water to boil in a small saucepan. Add your flour and cook on a low heat for 1 minute. Transfer the mixture to a Kitchen Aid fitted with the paddle attachment, add the finely grated hard goat’s cheese and paddle for two minutes on medium speed until slightly cooled. On low speed add your eggs to the mixture and combine for one minute. Place your mixture into a piping bag fitted with the star nozzle. 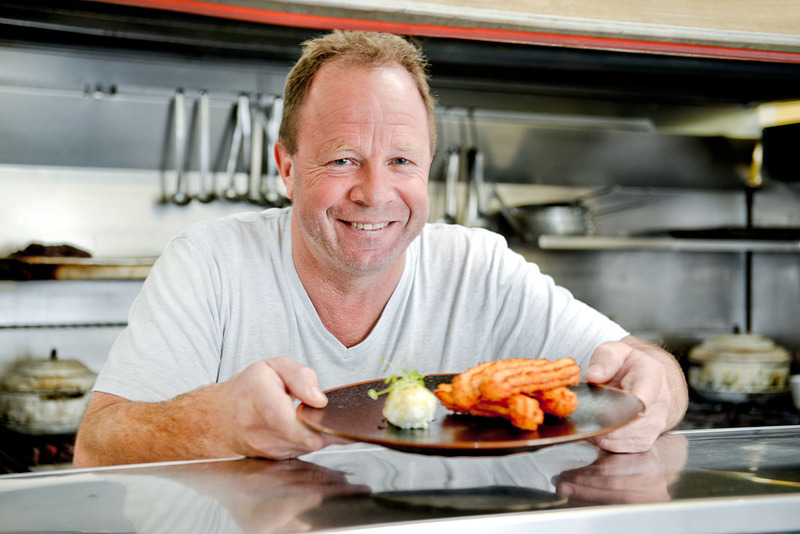 Heat a small pot of vegetable oil to 180oC and pipe 12cm long churros straight into the hot oil. Fry for 2 minutes then transfer to a tray lined with paper towel. 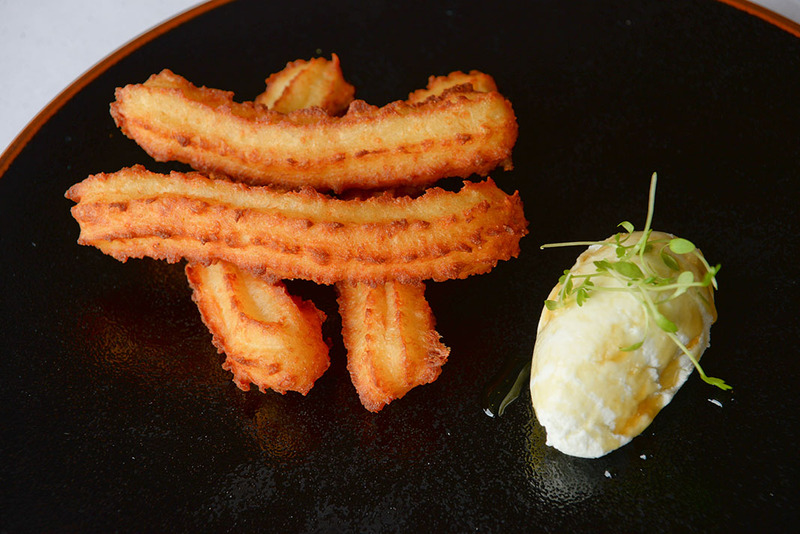 Serve the churros along side the goat’s curd drizzled with truffle honey.